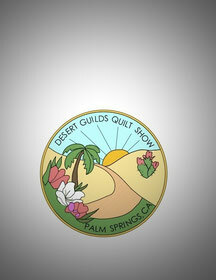 The Desert Guilds Quilt Show is a biennial show held in March in the even years. 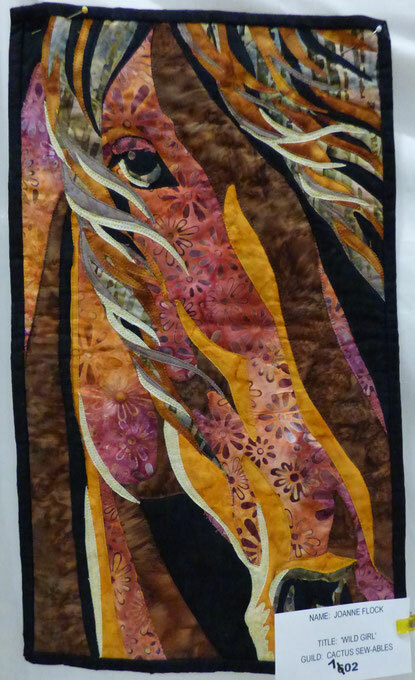 The Desert Guilds Quilt Show is over for 2018. Thank you to the volunteers, vendors, committee members and attendees for making it such a wonderful show. 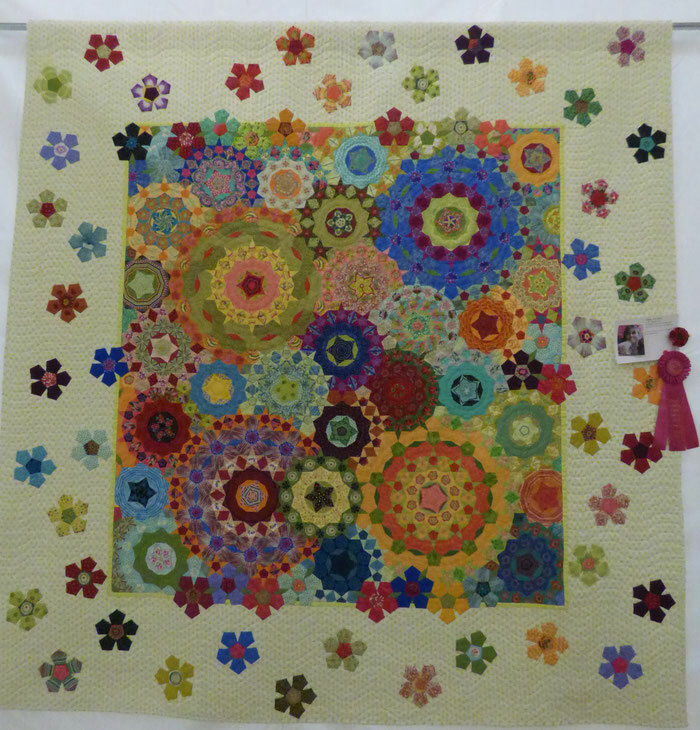 But the show could not happen without all the guild members who entered their quilts as a Showcase Quilt, Challenge, Miniature or Art Miniature. The standard of work that was displayed was truly amazing. Thank you to all the entries. 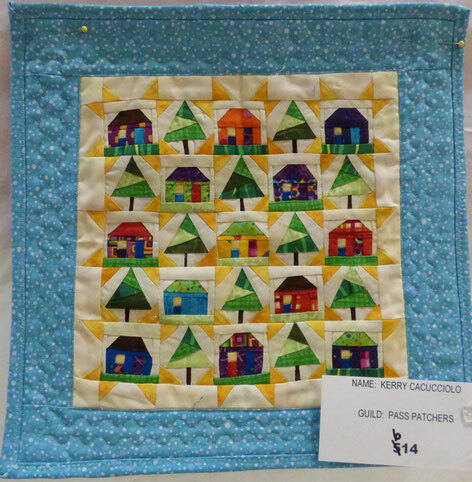 During the show, everyone got to vote for their favorite quilts in the four categories. Check out the winners below! 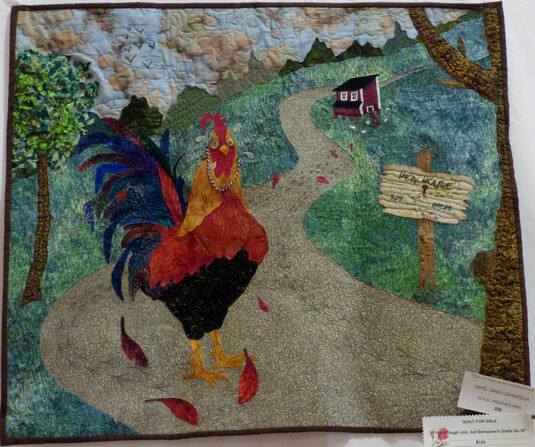 While the show is not a juried show, ribbons are given out by the vendors, 5 committee members from each guild and the members of the executive board of the show. To view those click here. "It's a Tough Job But Someone's Gotta Do It"
Thank you to all the venders who supported our show!